Get cast in a small role in Katie Holmes show, Mrs. Otis Regrets. A new FOX TV show is now filming in the Chicago area and there are new casting calls out for Chicago locals who want to work as paid background actors on the show. Chicago’s 4 Star casting is looking to fill various small, non-speaking extras roles for TV show shoots that are taking place this month. The show is described as an FBI crime drama with episodes that are an hour long. “Mrs Otis Regrets” is one of 2 new Fox shows that hails from Empire executive producer & writer Ilene Chaiken. 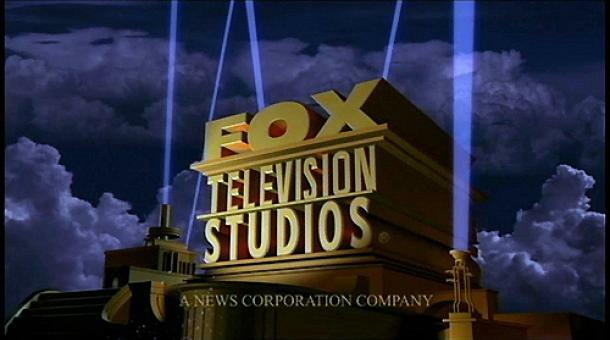 Chaiken has a multi-year deal setup with FOX and is currently working on both shows. According to Deadline, Ilene Chaiken is working on “Mts Otis Regrets” with “Person of Interest” producer Melissa Scrivner (Rosewood, CSI Miami) who is also credited as a co-writer on this new show. Other producers named on “Mrs Otis Regrets” are Judy Smith who is the co-executive producer of Scandal and Oly Obst (The Resident, Ghosted, The Mick). The pilot episode is being directed by Saana Hamri (Empire, Shameless). “Mrs. Otis Regrets” focuses on FBI Special Agent Hazel Otis who is a wife, a mother and a very patriotic agent working at the FBI. According to the Deadline description, FBI Special Agent Hazel Otis finds her life shattering as she becomes embroiled in a scandal resulting from her personal indiscretions… an affair with a prominent general which labels her “the mistress.” Agent Otis must deal with the whispers, rebuild her reputation, her personal life and also investigate terrorist threats as an agent in the FBI. Katie Holmes snatched the lead role of Mrs Otis in the new show and is also named as opne the the series producers. This will be Katie Holmes’s 1st major TV series role since Dawson’s Creek. Holmes has also starred in the movies Ray Donovan and Batman Begins. According to production reports, the cast of “Mrs Otis Regrets” also includes James Tupper (Big Little Lies, Revenge, Men In Trees) Rose Rollins (The Catch, The L Word), Mark Moses (Desperate Housewives, Mad Men, Homeland), Christian Camargo (Penny Dreadful, Dexter), Ian Harding (Pretty Little Liars), Jose Pablo Cantillo (Taken, The Walking Dead, Sons of Anarchy) and Paul Walter Hauser (I, Tonya, Kingdom). DESCRIPTION: Male/Female, 18+, all ethnicities, clean cut, natural, attractive, well put together. DESCRIPTION: Male, all ethnicities, little-no facial hair, clean cut and can fit size 38R-or 40R Jackets. **NOTE** Please DO NOT submit if you have been booked on one of our other projects for the same date. If you have already filled out a registration application on the POP platform and would like to be considered for this position, please follow the directions in sending the email below. Send an email to extras4otis@gmail.com with the Role “CARS“ in the subject line. Please include your name and photo so that we can easily look up on the POP platform. We will reach out to you through the POP platform to confirm if you are in consideration.